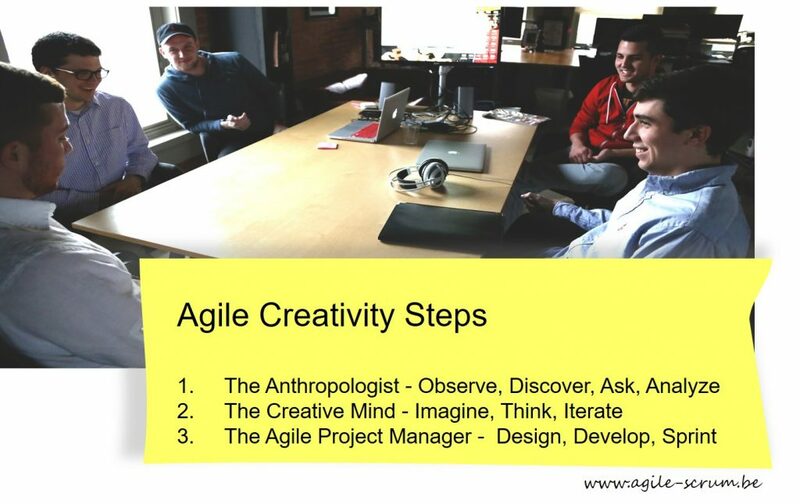 Agile Project Management and Agile Creativity steps. Most studies and experts say that rigorous task and structured work can hamper creative projects. Artists, writers and creative professionals often find that strict scheduling of small tasks and organized charts can only hamper their work and suppress their talent. While true, creative work can still benefit greatly from Agile Creativity if done correctly. Essentially, Agile Project Management is an intense, responsive and fast-paced project management approach that’s usually applied to software programs but also to other domains. How can something so structured ever help someone unleash agile creativity ? The characteristics of agile creativity such as flexibility, fast turnaround time, client feedback etc. are all part and parcel of developing agile projects. Think about it, creative projects that are a work in progress that authors and artists receive feedback for on a regular basis. Let’s face it, creative people thrive on feedback and can make better things when they have faster turnaround times and more support from stakeholders and other important people in the project. Agile project management gives a structure to canalize creativity. If you combine Agile methodology with a creative organizational structure in your company, you’ll obtain an optimized way of working and a happy and inspired team of workers. What’s the main benefit of agile creativity for projects and teams? Creative projects such as designs and content can be rejected in the end because the product owner or client doesn’t like it. What’s bad about this is that you might only know their feedback towards the end, putting all your hard work in the trash for something the client did not want. Agile can help you avoid this by making you present working prototypes of your design or content within short iterations. This way, you get feedback as early as possible and can adjust your work accordingly. Think of this step as taking your client out to tea (or a date, except the part where you’ve already impressed the client and won the project). Find out as much as you can about your client’s company and find out their project goals. What do they envision? What is the purpose of this project? What’s the end goal? What result do they need to get for them to consider it a success? Use their answers to analyse and discover the scope of the project. Figure out which techniques and tools you need to make the client’s vision a reality. Show your findings to your client to make sure you’re both on the same page. Once you have the client’s feedback, move on to the next step. Now that you have everything you need to get started, it’s time to develop a user story for the project. Come up with a plan and chalk out every step that needs to be taken. After adding a brief explanation of what will happen at each step, send it back to the client for feedback. Once you have that, it’s time to move to the third and final step. Having received the go ahead on the plan, it’s time to design and develop the project. The client is actively involved during the designing and development of the project. Based on the client’s feedback, go back to the drawing board and make the required changes. In a creative project, a Sprint typically involves sketching, prototyping, review, visual design, and testing. The project can go back for a review at any stage depending on the client’s feedback. Keep in mind that the Agile Project Management approach must enhance your work and make you deliver on set tasks at a set time. It’s not supposed to restrict your creativity but focus it at the right time on the right tasks. Soon enough, the rhythm will help you produce better work on time. For more information about Agile Project Management and creativity visit our trainings.